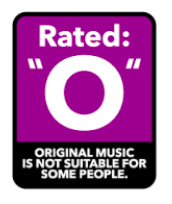 Company Creates “O” Rating to Warn Audiences of Possible Exposure to Original Music. The landmark study was done by ConcertsInYourHome(CIYH), a company that innovates new ways for artists to disturb self-absorbed people. 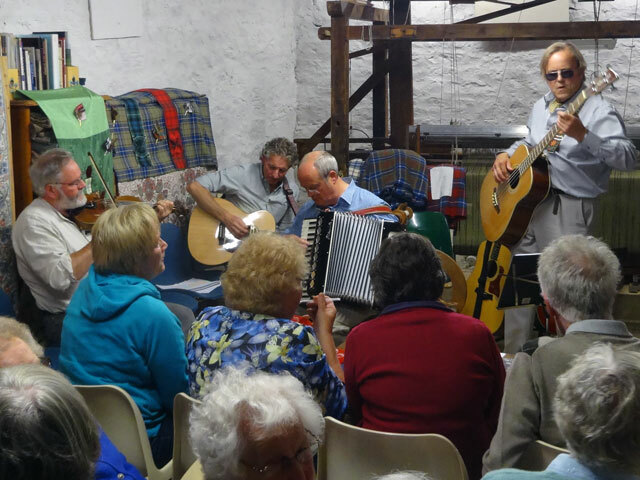 The study claims there is a growing talent pool of sneaky artists who are committed to playing their own songs in bars, restaurants and even people’s homes. CIYH claims these artists actually spend time writing words and creating narratives (stories) that aren’t based on classic rock misogyny or million-hit YouTube videos. But the real insult to phone-staring seat occupants is that these performers see fit to play music that is relatively unknown. Something must be done, and Cecil is not the only one who thinks so. But music fans can only be pushed so far. Listening Room Network, a global network of artists who primarily play original music, has answered the call for an “O” rating to denote venues and artists who focus on original music. Venues can place “Rated: O” stickers on their entrance doors to prevent patrons from accidentally having a cultural experience. Similarly, “artistic” musicians are being asked to voluntarily wear “Rated: O” T-shirts, just in case they decide to play in public where no signs are posted. Normal music fans should memorize this sign, and look for it on the door of any place where there is music playing. Here it is again, just in case. Fans of background music say it’s easy to be fooled. Sometimes the musician actually sounds good, and it can take several hours before you figure out you hate him. By then the damage is done. You haven’t really partied, and you need to pay for the rounds of Jager so you can get out in time to puke in the Uber. Music fans who do enjoy original music should subscribe to Listening Room Network and CIYH. Edward Snipes – music reporter. Author FranmanPosted on October 22, 2015 October 22, 2015 Categories UncategorizedLeave a comment on Company Creates “O” Rating to Warn Audiences of Possible Exposure to Original Music. One of my favorite writers, Seth Godin, wrote this. Anything worth shouting about is worth shouting into the wind. So I’m hitting the road to get the message out. If you believe that ConcertsInYourHome can make bigger changes than we are, shout into the wind with me. This tour of house concert workshops hits the southeast, starting this Saturday. Share our vision, invite people to attend, and register yourself if you can. These workshops are free. Check out the cities and share this link. Fran Snyder addresses a small crowd about the wonder of house concerts.